It’s time to put on a show even the Bard himself would be proud of! Garner attendees for your play or fundraiser with the Performing Arts Flyer. 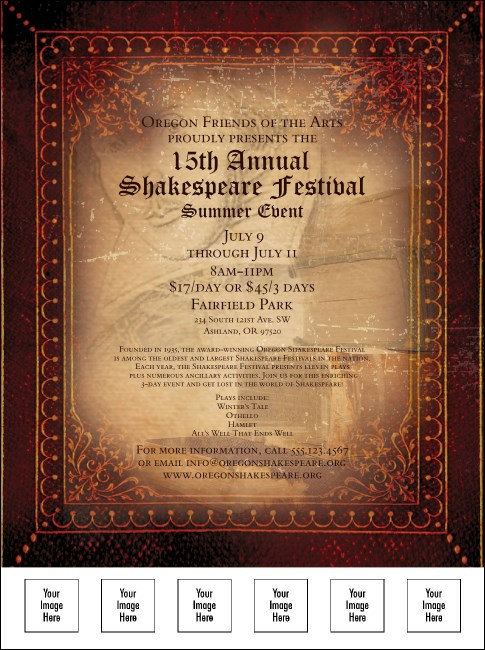 Featuring an image of William Shakespeare in the background, a gilded border and space for six custom images on this template, this flyer demands a repeat performance! Let everyone near and far know about your next event with promotional materials from TicketPrinting.com.